Affordable cremations are often being chosen today rather than traditional funeral services. Families who select cremation come from all religious, economic and social backgrounds find unity in the simplicity of cremation. Legacy Cremation Services is here to offer our support and guidance during this difficult time. We are offering this information on our site to help families gain more knowledge about affordable cremations. Unsound decisions may be made by the surviving family members when they are in a state of grief. Our goal is to prevent this from happening. 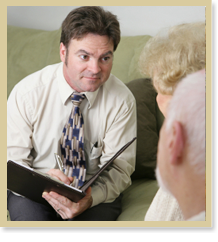 We provide families with the most comprehensive information about cremation to allow them to make informed decisions. Please review all types of affordable cremations before making a final decision. We will provide the highest standard of service at the lowest possible price. Our representatives are available 24 hours a day to assist you in making arrangements for your loved one. Here are three common types of affordable cremations to consider: A traditional funeral with cremation to follow is commonly chosen by families. It is very similar to a traditional burial but much less expensive. The funeral is usually held at a church or funeral home and can be simple or elaborate. 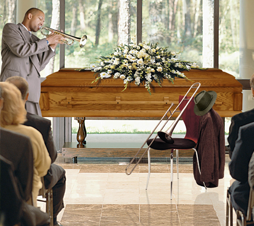 A public or private viewing can be planned to say a final-goodbye. At the gathering family and friends can openly speak of fond memories and clergy is optional. There are many ways to personalize the ceremony. Collages and mementos can be used to decorate the ceremony area. Musical selections that were favored by the decedent can be played during the visitation. If you decide to have a viewing you can rent or purchase a cremation casket. If you decide to use a rental casket then an alternative container will be used during the actual cremation. A memorial ceremony with cremation to follow is a gathering at a funeral home, church or other designated place where family and friends will gather with or without the cremated remains present. If the family opts to have the cremated remains present then a cremation urn can be displayed. This type of service can be formal or informal. The family may prefer to have a simple cremation. In this case there will not be any type of memorial gathering or service. Once the death has occurred, contact the funeral personnel for the removal of the decedent and transportation to the crematory. State laws typically require a waiting period before the cremation can take place. Your funeral director will inform you of your state laws. People often regret planning a simple cremation because it doesn't provide closure for family and friends. People can still plan affordable cremations and plan small memorial gatherings. This helps family and friends to say their final good-bye and begin the healing process. When families plan affordable cremations instead of costly earth burials it allows them to concentrate on planning memorable tributes instead of focusing on family finances. Following cremation families must decide what they will do with their loved one's cremated remains. Many choose to bury the cremated remains in a family plot, have them placed inside of a niche or scatter them in a garden at a cemetery. This provides permanent memorialization for the family. The low cremation cost will allow the family to focus on purchasing a permanent memorial to honor their loved one. A cemetery marker, monument or bench can be placed in remembrance of the one they loved. Scattering your loved one's cremated remains at a favorite place at sea or on land will allow a special place where family and friends can visit for many years to come. Scattering is regulated by state law and your funeral director will coordinate and advise you of any local ordinances for scattering. You may decide to keep the cremated remains in your possession. Please take time with your family to browse our entire website to learn as much as possible about affordable cremations. With our compassionate staff by your side, we'll provide personal arrangements that are creative and respectful to your loved one. We promise to follow your loved one's wishes in a respectful and memorable fashion. For more information regarding affordable cremations, please don't hesitate to contact our gracious staff at any hour or complete the contact us form.